Knowledge creation is rapid fire and the world wants it now. The digitization and automation of knowledge content, creation and distribution is changing the way we perceive and perform research. Many scholars today continue to test and create emerging research approaches to question existing realities and alternative ways of knowing. The mainstreaming of digital technologies, the emergence of alternative ways of knowing, peer to peer social innovations and the localization of content has intensified the debate that question existing theoretical and research methodologies’ and their applicability to local contexts and developing economies. The inequality of access to knowledge, connectivity, the English bias and the hegemony of the North have, in so many ways, placed developing countries like the Philippines as recipients of their knowledge. This resulted to the inability of developing nations to create and internationalize local knowledge and content. Today, the intensity of creating the knowledge society is getting more intense and researchers tend to collaborate using social media tools and emerging on-line research technologies to automate the gathering, circulation and diffusion of knowledge. These communities has prototyped a variety of emerging research practices and one amongst many are digital and futures research. This seminar workshop aims to introduce emerging research approaches and methodologies to faculty and institutional researchers of Northwestern University. It aims to “game” the process of learning alternative research approaches. Gaming here means making the process more interactive, re-creative and fun. It will immerse participants to the process of “creative and experiential questioning” and expose them to the process and context of futures research method particularly scenarios and causal layered analysis. Developing an engaged research culture is a long-term project and this workshop could serve as a catalyst to enhance existing approaches to improve research quality and output in the university. Shermon Cruz, Romelene Pacis and Karl Benigno will facilitate the University Center for Research and Development organized workshop on August 28-29, 2013. Last month the UNESCO Foresight Section in partnership with the Rockefeller Foundation organized a five day global meet-up of foresight leaders to assess the feasibility of a UNESCO led global network to intensify anticipatory capacities and engagements at the global, regional and local levels. 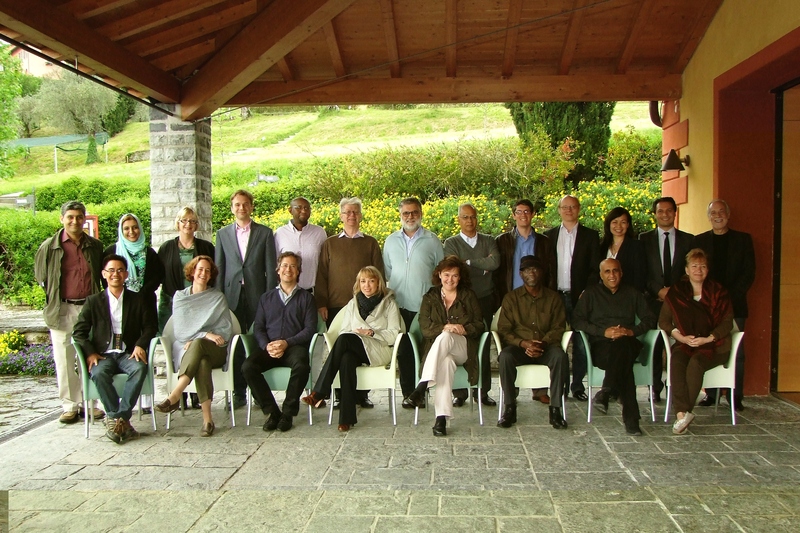 Held at the Sfondrata of the Rockefeller’s Foundation Bellagio Center in Italy, around 25 global foresight leaders participated in the global scoping exercise. The global network is expected to provide support to a broad range of communities of practices engaged in the emergent discipline of anticipation. Foresight practitioners from the Philippines, Brazil, United Kingdom, United States, Ghana, Bulgaria, Tunisia, South Africa, Australia, India, South Korea, Egypt, Zealand, France, Poland, Italy, Switzerland and Belgium collaborated in groups to intensify efforts to advance the use of the future for decision-making. This global foresight event was facilitated by Riel Miller, head of the UNESCO’s Foresight Section, Anthony Mckay, Illka Tuonen, Cindy Frewen and Sohail Inayatullah. Novelty, collective intelligence, futures literacy, the learning intensive society, our multiple selves and layers of thought, networking and experimentation, research, stories and their contexts, decision-making, resilience and socio-cultural transformation were the critical lexes that emerged in the five day Bellagio conference. With the hope of designing new approaches, tools and knowledge to strengthen anticipatory capacities at the global and local levels, the conference tackled the what, the how’s and why’s of anticipation as a new field of discipline. The event also explored how the emergent discipline of anticipation could play a key role in novelty and creative practice in the twenty first century. A variety of tangible initiatives and frameworks to advance futures literacy at the global and local levels would emerge in the week long scoping process. These initiatives would later warrant the idea of co-creating a UNESCO-led global network. The global network was designed to assist and link diverse communities-of-practices actively engaged in the discipline of anticipation. • “The way we think and use the future today is a legacy that we leave our children.” Cultural traditions and indigenous stories are not just stories of the past that remembers and commemorates the trauma and transcendence of our ancestors. When heritage is reframed that is when we view (our) heritage from a futures perspective, our myths and metaphors could enrich the way we mean, narrate and use the future. The ‘spirit’ (the chi, the life-force, the essence) of their stories can help us anticipate, simulate and create the future better. When we capture the life-forces of these stories, new stories and metaphors could emerge. When we acknowledged their mythic and metaphorical narratives as essential, anticipation as field of discipline and practice becomes more grounded and responsive to people and society’s aspirations and needs – intellectual, emotional, and even spiritual levels. The stories of the future or futures practice should at least mirror or better yet reflect how ‘time’ plays out in the moment. (Cruz, Gotseva-Yordanova, Meek 2013). • “The future is a learning journey. It is an asset, a resource and a narrative waiting to be employed.” Having a multiple perspective about the future is crucial to imagining the future differently. When we view the future interpretively and critically, we learn that ‘the truth’, ‘the real’ and ‘the future’ are created or are anchored on some social constructions – language, culture, power knowledge and episteme. Hence future practitioners must always be ‘aware’ or ‘present’ on how the real and the future is perceived and used. Thus, to create an alternative future or use the future differently, we should acknowledged the existence of other ‘real’ worlds as reality and the future are socially and linguistically constructed. Language is not transparent or value neutral. Language is opaque and it could color reality and the future in particular ways of knowing (Inayatullah, 2013; Inayatullah, 2007). Our cultural realities and worldviews inform the way we perceive and make sense of the future. • “Our universe is “creative” in the sense that novelty happens” even before we become aware of it. The discipline of anticipation (DoA), with its various tools and methods can strengthen our capacity to locate and make sense of novelty. The nature and role of DoA while it remains patchy plays an essential role in the social sciences. As a field of knowledge, DoA undertakes an exploration and transmittal of knowledge at different levels of reality. It enriches our understanding and experience of anticipation. To Poli (2013) while anticipation is pervasive there are specific anticipatory processes that can be use to enrich our understanding and experience of change, novelty, social and policy analysis. DoA proposes for a more systematic, and specialized approach to imagining the future. The issue of disciplinarity in the field of anticipation, the exploration of some criteria, and accountability in futures practice among others are the concerns of DoA. • Futures Literacy (FL) like language literacy involves the acquisition of knowledge and skills required to imagine and use the future differently. FL is the basic knowledge and skills on how to use the future. FL assumes familiarity to tacit and explicit anticipatory processes (i.e. optimization (privileges causal-predictive methods and actively extrapolates the future with the past; amenable future), contingency (future is perceive and use to prepare an institution from possible and expected shocks) and novelty (making sense of emergence; future is use to locate and create novel and innovative futures) (Miller, Poli and Rossel, 2013). • Communities of practices or CoPs is an important unit of analysis and intervention in learning and knowledge creation (Tuomi, 2013). Its different interpretations and modalities could inform UNESCO’s approach to setting up regional workshops. CoP is a social unit or group whose members define themselves as members of the same community of practice (Tuomi quoting Wave here, 2013). Communities of practices is where socially important forms of learning occur. It is also where the amateurs learn from the experts. 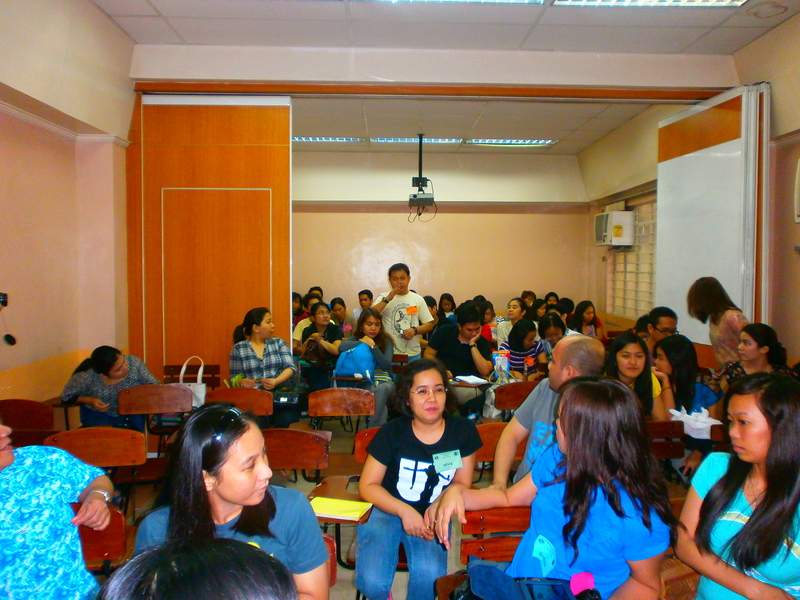 CoP’s can also be an epistemic community wherein members have a shared worldview and set of core concepts and values. Their ‘shared meaning’ is what keeps their community intact as a social unit (Tuomi, 2013). • A learning intensive society occurs when creativity, novelty, invention, authenticity and innovation becomes a worldview and informs the way we produce, design, and share knowledge at the system and litany levels of reality. Also known as the wisdom culture, these societies are empowered and are capable of birthing new world of intelligence and realities. Here people use imagination and intuition to create alternative worlds. Learning intensive societies are societies that integrate well collective intelligence and the discipline of anticipation to build hybrid and high breed wisdoms in order for new lifestyles and creative technologies to emerge. Beyond automation, machines, nanotechnologies, and knowledge acquisition, these societies are deeply engaged in the effort to advance the wisdom culture, to recover the spiritual self, the ‘perennial tradition’ that was lost centuries ago. The higher order of imperatives reconceptualizes relations between people, technology, and nature. A number of organizations and countries have indicated their interest and presented their initial project designs to hold local scoping exercises. 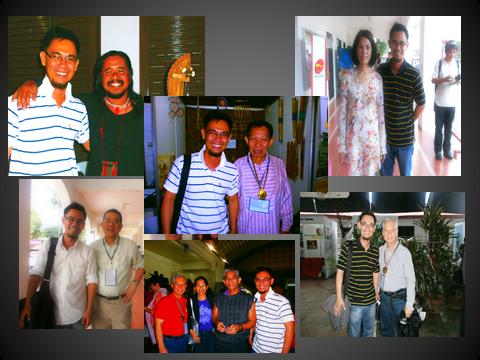 These are the Philippines, Sierra Leone, the Association of Professional Futurist, Brazil, South Africa and Tunisia. The conference discussed the basic guidelines for LSE implementation. In the first and fourth day of the conference, Sohail Inayatullah facilitated a Causal Layered Analysis (CLA) and Macrohistory game/workshop. CLA is a futures tool used by futures researchers and practitioners to explore the past and the present to create alternative futures at different levels of reality. CLA as a method allows participants to integrate logically different ways of knowing including non-textual and poetic expressions in the futures analysis process (Inayatullah, 2013; 2007). CLA’s four layers of analysis are: litany – these are the news headlines and the soundbites; systems – these are the STEEP or INSPECT factors, it explores systems causes and enablers; worldview – it is concerned with discourse and worldview analysis, enables participants to make sense of framing to foster a shared understanding of an issue. It deconstructs the litany and systems levels; myth and metaphor – here the deep stories, individual and collective archetypes emerge. This level is more concerned with metaphors and images. It allows for a richer and deeper understanding of an issue, it provides the resilience test to strategies/discourses and enables participants to imagine and design transformative futures. To Inayatullah (2013), a deeper understanding of the deeper plausible patterns of history is imperative to long-term thinking and futures studies. Macrohistory helps decision-makers to gain a broader picture of an issue particularly crises (Inayatullah, 2007). It focuses on the weight of history (what could not and has not change) and locates the deeper structures that define the limits of the future (Inayatullah, 2007). Inayatullah briefly immersed the group to the field of macrohistory by discussing the concepts of time and progress of a number macrohistorians such as Ibn Khaldun, PR Sarkar, Pitirim Sorokin, Nikolai Kardashev, Augustu Comte, Riane Esler. Inayatullah also facilitated the Sarkar game developed by Peter Hayward and Joseph Voros. The game further deepened the conversation on the future of foresight, the futurist ethics and role in development and progress, the value of space and time, choices, social learning and social innovation, legacy and leadership, needs and responsibilities among others. At the closing plenary, the group discussed the next steps and reiterated a number of concerns and challenges such as: UNESCO’s commitment to spearhead and make the global network work (the conversation on the nature, content and operational specifics of the global network should continue); funding issues (global, regional and local levels); the need to create and generate more responsive research questions and design; monitoring and evaluation; local scoping exercises proposals and concept papers; the creation of a web based tool to enhance collaboration, transparency and interaction of collaborate to assist proponents of local scoping exercise project design and implementation, etc. Cruz, Shermon. Notes, background papers, project documents and other references on the global meeting/conference regarding “Networking to Improve Global/Local Anticipatory Capacities – A Scoping Exercise”. May 20-24, 2013. Bellagio Center, Bellagio, Italy. Cruz, Shermon. Powerpoint on the Futures of Child Trafficking in the Philippines: A Futures Literacy UKnow Lab Local Scoping Exercises Proposal. May 2013. Bellagio Center, Bellagio, Italy. Inayatullah, Sohail. 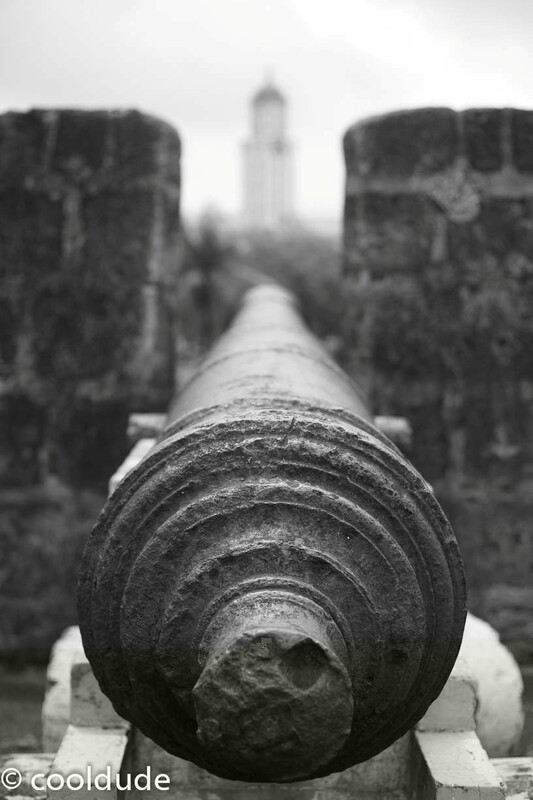 Questioning the Future: Methods and Tools for Organizational and Societal Transformation. 2007. Tamkang University Press. Taiwan. Miller, Riel. UNESCO Advanced Seminar: Recent Developments in Futures Thinking: Connecting Foresight to Decision-making. 2009. Xperidox Futures Consulting. France. Watson, Richard and Freeman, Oliver. Futurevision: Scenarios for the world in 2040. 2012. Scribe Publications. Australia. Hope, communities, language, technology, the family, authenticity, good governance and cultural identity are essential narratives shaping the trajectory of Philippine futures. This occurred to me when I attended two distinct foresight forum held in Manila recently. 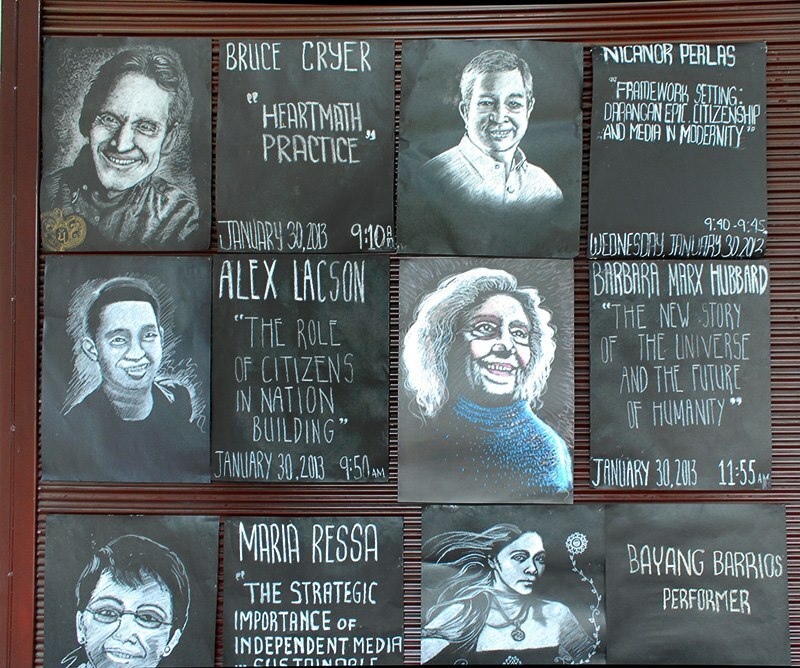 The first was curated by the Department of Social Sciences of the University of the Philippines in Manila and the second by the Information Technology Department of the College of Computer Studies of De La Salle University Manila. These forums were organized to explore the core and impact of strategic foresight to governance and public policy and rhizome on knowledge creation and technology propagation in the Philippines. I was able to jot some notes and record a number of soul blowing insights from participants, speakers and organizers. 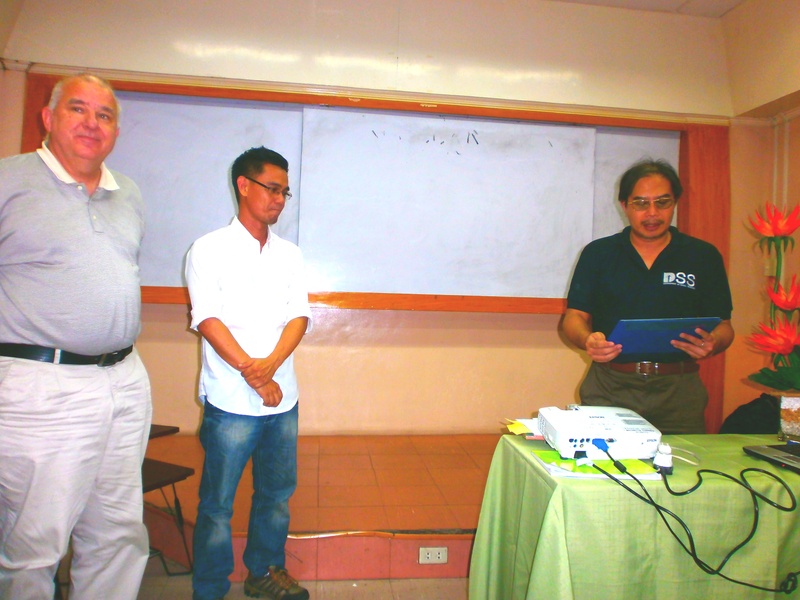 The after forum discussions with fellow futurist Prof. Dennis Morgan from Hankuk University of South Korea, with Dr. Ernesto Gonzales of the University of Santo Tomas and Professor Bernard Karganilla of the University of the Philippines Manila were uplifting and intellectually stimulating. 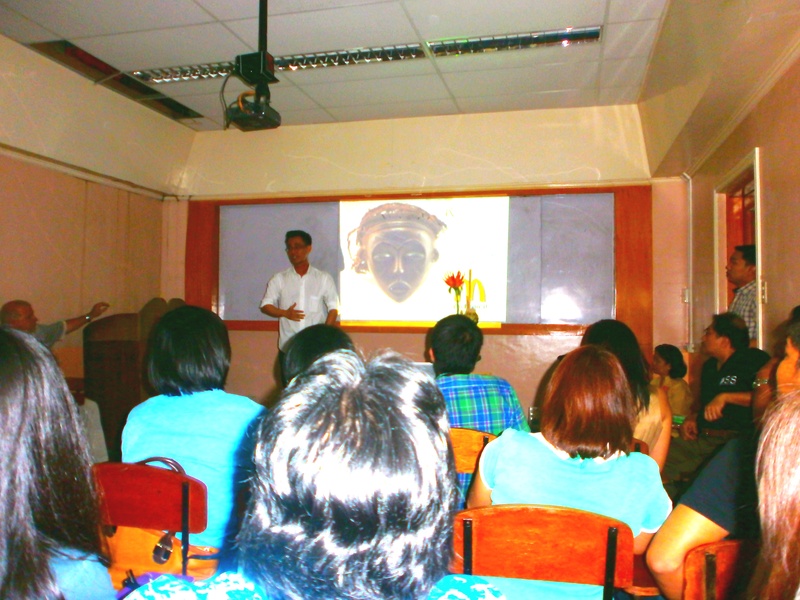 The discussions that tried to deconstruct the values of long-termism and short-termism, of the need to decolonize the future using social media techs, myths and the social sciences ( the assumption was that Philippine futures was colonized) expanded my inner outlook and perspective of the nature and contexts of Filipino futures. 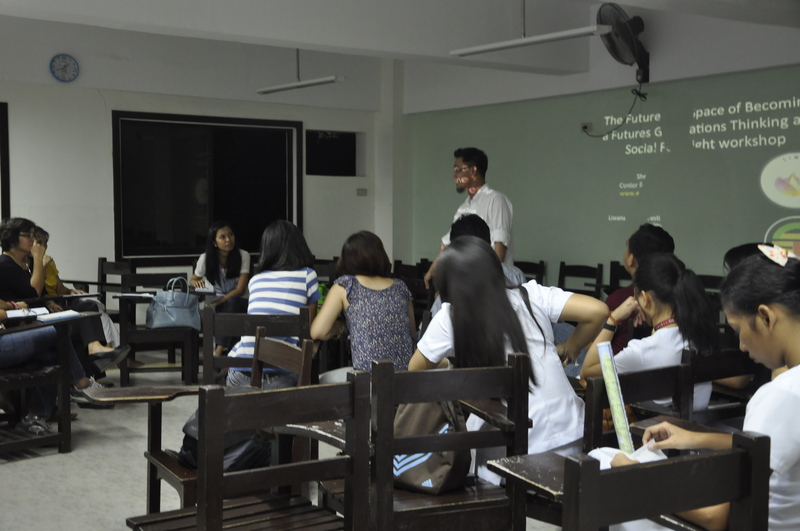 The second forum held at De La Salle University discussed some epistemologies and ontologies of rhizomic theory and explored its applications to community organizing, language, technology and futures studies. The exchange opened some avenues and had me contemplate on my practice of community based foresight. Mavic Pineda and Marcus Bussey presentations were instructive. The after forums conversations I had with Dr. Marcus Bussey, a futurist and professor at the Rajanatram School of International Relations at Nanyang Technological University Singapore, Dr. Andrew Lian of Suranaree University of Technology of Thailand and Professor Mavic Pineda of De La Salle University revealed a lot of “unknown knowns” and unknown unknowns” on how language, technology, imagination, memory and culture interact in the twenty first century. The forum showed how multiple ways of knowing could enrich our ways of imagining ourselves in the future. The forum at UP was cultural, critical and deconstructive, the DLSU dialogue focused on the strategic contexts of knowledge creation and futures thinking. For some participants, Filipino optimism was a coping mechanism to overcome trauma. Hope was like an antidote to suffering. The blasting trauma was unemployment, poverty, corruption, and political dynasty. These have kept the Filipino from realizing its hopes for a better future. At a personal level, the hope in the future was also a measure of emotional and mental toughness. 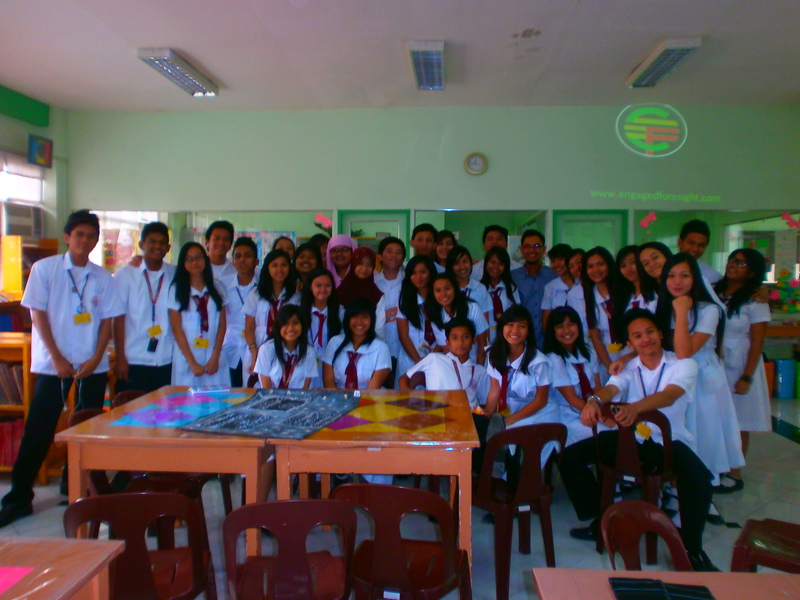 Community and Social Innovation on an on-going basis. 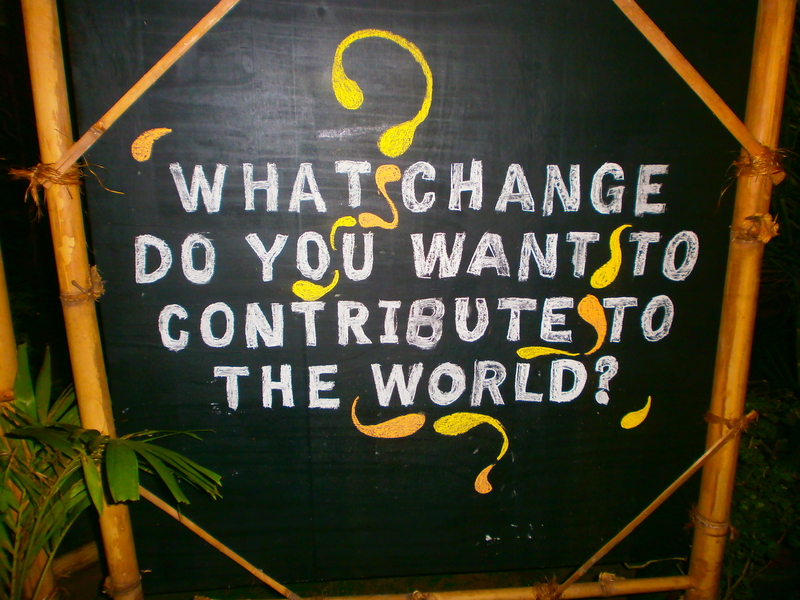 “Social innovation works when we engage the community to learning and action. 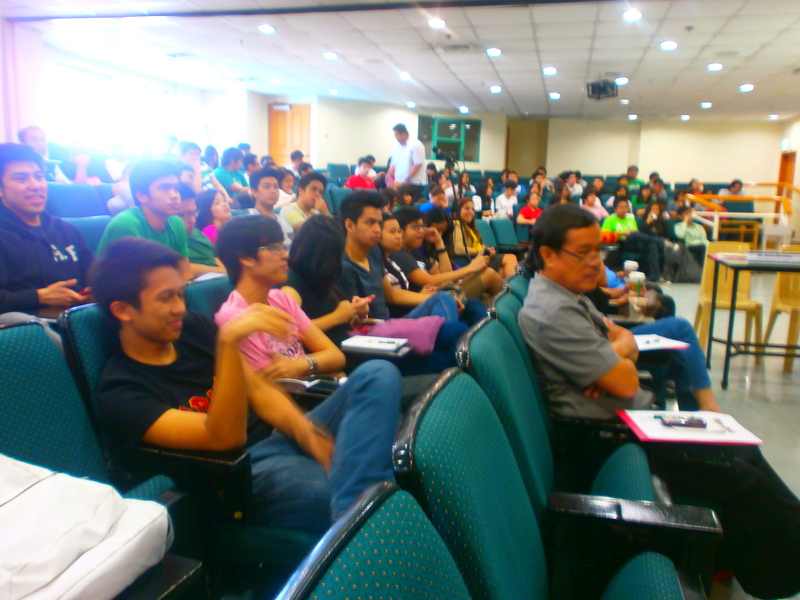 The community must learn how to innovate on an on-going basis” observed the DLSU Prof. Mavic Pineda. Also, Lian (2013) noted that iteration or the act of repeating a process is essential to experimentation and in designing new social platforms and that knowledge creation should evoke values that foster generosity and life-long learning. The ethical, the moral, the community, the cultural and the spiritual are discursive alternatives in creating transformative futures. February was the month when I saw LIWANAG again. And I was really happy to learn that IMAGINAL VISIONING and, if I may, “INTUITIVE FORESIGHT” (to borrow the words of Oliver Markley) was emerging from the South. It was my third trip to the Mindanao region this year and capping it with an arts, culture and consciousness fest as an academic year ender was awesome. 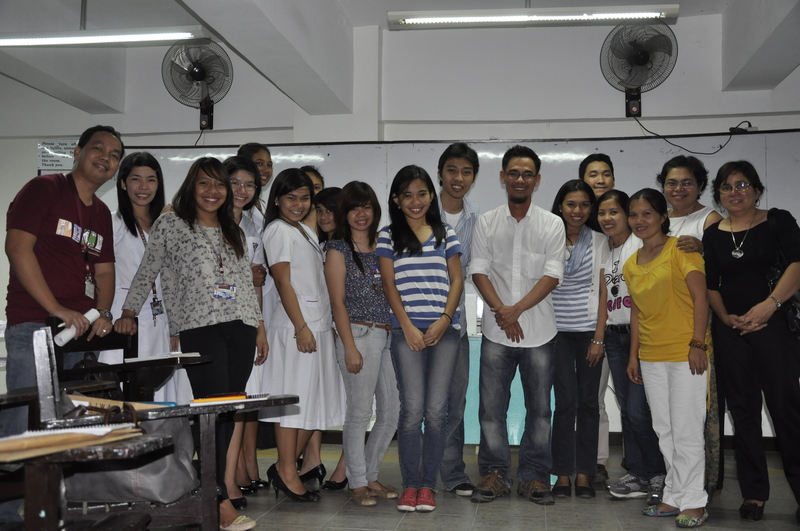 But let me reflect a little bit about my experiences as a participant and workshop facilitator at LIWANAG World Fest. 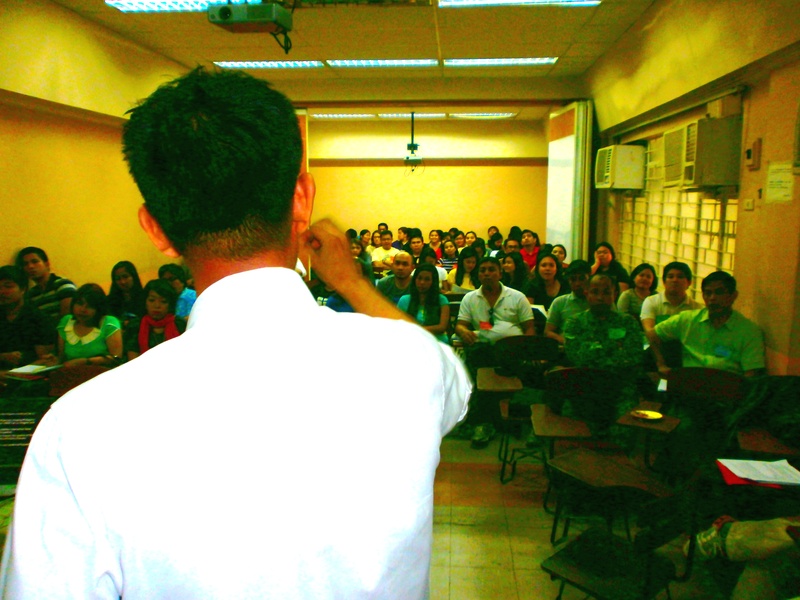 What I saw in LIWANAG was “practical imagination” and “transformative visioning” at work. There was so much openness, peering, sharing, acting and networking that happened there. 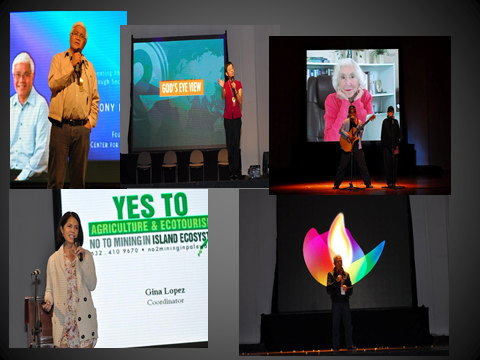 The celebration showcased (a lot) the most brilliant and heart-centered sustainability initiatives from the business, government and civil society sectors. As a foresight practitioner, I was able to spot a number of off the radar ideas, scenarios and was lucky to collect some “weak signals”, “emerging issues” and “trends” that matter and that might likely grow and impact Philippine society. There is a “rage” over the destructive impact of mining in key biodiversity sites of the country. Gina Lopez, Executive Director of the ABS-CBN foundation, showed how “open pit mining” could ruin the lives (social, political, economic and health) of thousands if not millions of people and indigenous communities in the Philippines. The crowd roared “We Do Not Want Mining in our Islands” (the emerging issue) to affirm their commitment to support eco-tourism and agriculture as alternatives to mining. Gina’s group has been able to collect 7 – 8million signatures supporting the petition to ban mining in key biodiversity areas. Lopez explained “The 10 million signatures will be presented to President Aquino who has yet to decide on a comprehensive mining policy” She said that her advocacy is not entirely against mining but maintains that “island ecosystems”—areas which contain farmlands, coral reefs, mangroves and endemic species—should be off-limits to mining (Uy, 2012). Biodiversity holds pre-eminent value. It is life. “The Philippines ranks No. 1 in endemicity per unit area – which means the flora and fauna found here cannot be found anywhere else in the world.” (Source: Gina Lopez, Rappler Article, 2012). Protect Island Ecolosystem. “This is an interweave of different ecological systems: forests, mountains, coral reefs, mangroves, farmlands – all intertwined in a specific location – where rivers and streams lead into the sea. Any kind of mining in these islands whether they be large scale or small scale is grossly irresponsible – especially since our country is hit by typhoons every year!” (Source: Gina Lopez, Rappler Article, 2012). Mining has a very poor track record in the country. The highest incidence of poverty is in the mining sector. The poorest areas in the country are mining areas : Samar, Surigao, Benguet, Zambaonga. (Source: Gina Lopez, Rappler Article, 2012). The national government earns very little from mining. 1.3% GDP and 0.36% employment. (MGB 2010 – 2011) There is a 5-year tax holiday – so operations are usually frontloaded during these years. We have no standard of evaluating what we are giving up. (Source: Gina Lopez, Rappler Article, 2012). There are good alternatives to mining. Ecotourism and Agriculture is the alternative. Mining threatens food security, and public health. NO TO MINING IN OUR ISLANDS is an ALTERNATIVE Philippine future. IMAGINE A PHILIPPINES WITHOUT MINING. IMAGINE A PHILIPPINES WITHOUT POVERTY. IMAGINE A VERDANT AND GREEN PHILIPPINES WITH ITS NATURAL RESOURCES PRESERVED AND PROVIDING JOBS AND WELL-BEING TO PEOPLE AND COMMUNITIES. 2. There is a way to end poverty in the Philippines – caring and sharing is the way. The “GK” (Gawad Kalinga meaning to give care), a Philippine based movement that aims to end poverty in the Philippines employs an integrated and wholistic approach to people empowerment. Founded by Tony Meloto in 1995, GK today currently works with over 2,000 communities all over the country. Their goal is to end poverty for 5 million families by 2024. For Tony Meloto the vision of GK was “to restore the dignity of the poor through a culture of caring and sharing.” “By being our brother’s keeper, we will help one another by giving the Best for the Least, in the spirit of service and friendship.” (GK Official Website, 2012). It’s multi-sectoral approach to resolve poverty emphasized the power of collaboration, generosity, leveraging, social entrepreneurship and corporate social responsibility. Its development model includes child and youth development program, community building, environment, food sufficiency, health, infrastructure and the center for social innovation. A Poverty Free Philippines is a plausible future. IMAGINE A PHILIPPINES WITH THE HIGHEST PER CAPITA INCOME IN ASIA. IMAGINE A PHILIPPINES WITHOUT POVERTY. 3. We should be out of our comfort zone to bring out the crazy ideas that champions freedom, justice and good governance. Mae Paner, an advertising-director and Youtube star known as “Juana Change” was the most provocative if not the most daunting of all LIWANAG’s plenary presenters. Juana Change skit on Youtube on the state of overseas Filipino workers and President Aquino’s purchase of 4.5 million peso worth of Porsche was a blunt reminder on government officials to lead modest lives. A political satirist, Juana Change uses entertainment and social media to engage the public on critical governance issues. IMAGINE A PHILIPPINES WITHOUT CORRUPTION. IMAGINE A CORRUPT FREE PHILIPPINES. IMAGINE A COUNTRY GOVERNED BY ITS THOUGHT LEADERS. 4. Character First! Development model. The City of Bawayan Experience! The City of Bayawan is an emerging issue. Its character first development model highlights good citizenship values and social artistry to local government leadership, community innovation and social change. 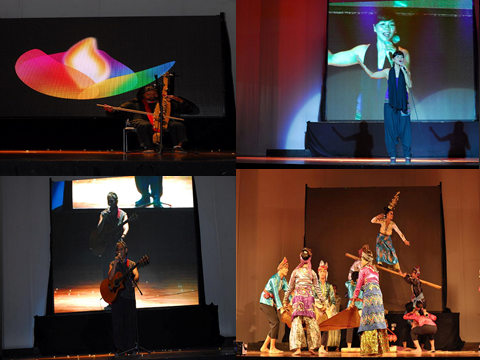 The city uses story telling, poetry, dance and theater arts as a tool to raise public awareness on governance and sustainable development and to engage their citizens to end poverty and corruption in Bayawan. The city government integrates IMAGINATION and IMAGINEERING to stimulate creative thinking to design alternative forms of governance. 5. Movement for a Liveable Cebu! Engaging communities for a safer, healthier and happier Cebu City. The Movement for a Liveable Cebu! is a broad based multi-sectoral people’s initiative working to make Cebu a sustainable and liveable city. Their advocacy aims to ensure the adoption of a bottom-up approach to urban development. The group is pushing for an alternative Comprehensive Development Plan for Cebu with people, youth, children and local residents in mind. The group urged local governments to prioritize: True & Useable Sidewalks for Pedestrians, especially children, Road sharing & Dedicated lanes for bikers, PWD & alternative transport, Parks and Urban Green spaces for joggers, families, outdoor public events, Viable Mass Transit for the commuting public, Universal Access especially for PWD in designing local city futures. Culture (Indigenous culture) is a healing technology. It is intimate. It is identity. It is a subtle expression of the creative human spirit. It is rejuvenating. It is fresh. Culture is soul-full. It is the language of the self. It is the ritual of the spirit. It is a way of knowing life and society. It is transcendental. It is mind-blowing. Culture is creative. It is a path, a means to decolonize the past, the present and the future. Culture is evolutionary. It is memory. It is vision. It is re-creation. It is re-vision (refreshing the vision – thanks to Sohail here). Culture is peer to peer. It is inclusive. It encourages plurality, diversity and discourages singularity. It could re-define, enhance, and deepen the value of social media technologies. Culture is the cult of nature (the ritual of nature). The myth of connecting and conversing with the unknown. It is prophetic. It is intuition at work. Culture has a wisdom and a moral component (Perlas, 2012; Markley, 2012). It is epochal. Culture is about inner and outer resilience. It is all about co-creative partnership. Culture is macro-historical. Culture is a language of the multi-civilizational. It is communicative. It is universal (the culture of the heart). Culture is a conversation of the imaginative and the pscyho-spiritual real. Culture is all about ‘real time’ social activism. Culture is deep. Culture is all about having authentic conversations. I would like to thank Ms. Shiela Castillo, the Mission Group, Image Praxis, Kristina Suelto, Cecille Ferrer (her Lakbayani project was amazing. Didn’t realized how “future-inclined” the young people of Davao are today), Nicanor Perlas, the Project Samadhi, the Ananda Marga Organization of Davao for the wonderful and engaging conversations we had at LIWANAG. 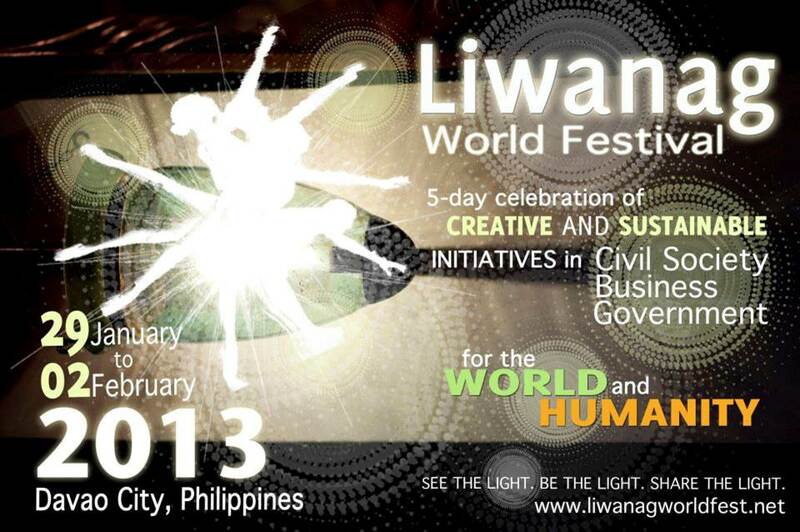 Indeed, LIWANAG is the festival of light!